The Richard B. Russell Library is pleased to announce that the Powell A. Moore Papers are now open for research. The papers capture Moore's nearly five-decade career involved in legislative affairs, public policy and international relations within the federal government and the private sector By virtue of his various positions, Moore corresponded and interacted with a wide range of individuals at different levels of the government, including prominent U.S. Senators, and clients in the private sector, from international corporations to foreign governments. His correspondence also documents the myriad of professional and personal inquiries and requests he received. Moore retained a wealth of documentation related to the man who gave him his start in Washington, Senator Richard B. Russell. Moore’s papers also feature information related to the many congressional delegations he accompanied abroad during his tenure. The papers include reports, news clippings, invitations, program materials, artifacts and audiovisual materials related to his work and to numerous presidential campaigns, conventions and inaugurations from 1972 to 2009. Photographs feature portraits of well-known Georgia and national political figures and other images, including six United States Presidents. Moore’s earliest government service was in the U.S. Army. Part of that time he was stationed in Germany, during the construction of the Berlin Wall, which he credits for his developing an affinity with the Republican Party. The opportunity that brought him to Washington, D.C., in 1966 was his work as press secretary for Senator Richard B. Russell. Moore’s papers go beyond documenting his working relationship with the Senator and also chronicle the period surrounding Senator Russell’s passing. Moore’s life-long interest in Senator Russell’s life and accomplishments is evidenced in the material from dedications and events that have helped keep Senator Russell’s legacy alive. Moore went on to be part of four presidential administrations. During the Nixon administration he was Public Information Officer in the Office of Attorney General within the Department of Justice. Moore was part of the Committee to Reelect the President during the 1972 campaign and was later the Director of Press Relations for the Inaugural Committee. 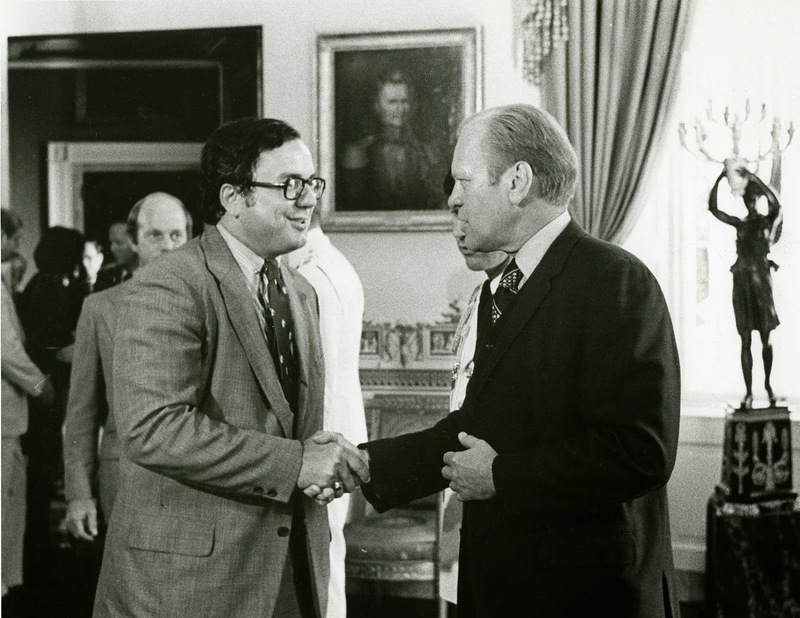 Moore with President Gerald Ford, August 1974. During Nixon’s second term and into the early part of Ford’s term, Moore was Deputy Special Assistant to the President in the Congressional Relations Office. 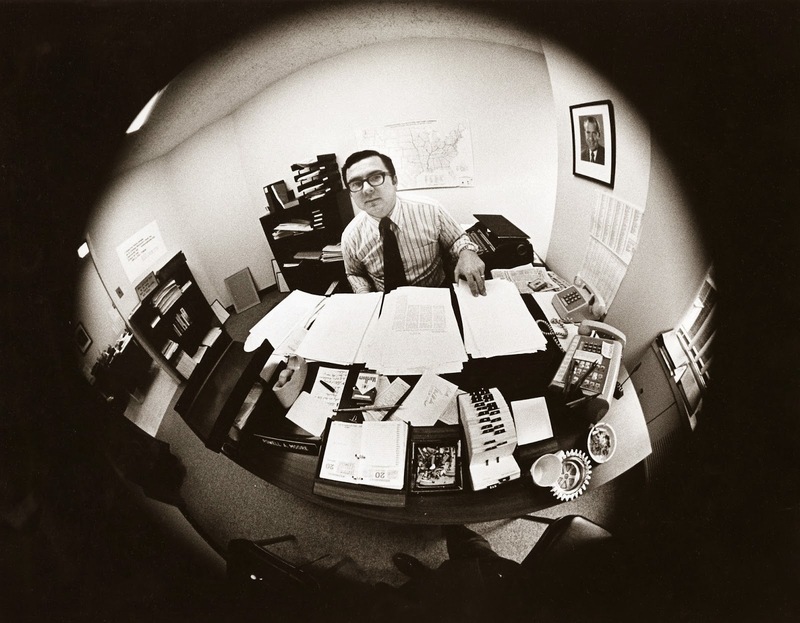 Moore did not remain a “Nixon leftover” for long as he left the federal government to start his own consulting firm, Powell Moore & Company, to advise and represent a variety of clients. After six years, he re-entered government service under the Reagan administration. First he was appointed Deputy Assistant to the President for Legislative Affairs in 1981. Moore oversaw the Senate confirmation of Supreme Court Justice Sandra Day O’Connor while holding this position. He later was appointed Assistant Secretary of State for Intergovernmental and Legislative Affairs. in the George W. Bush administration, May 2001. Towards the end of 1983, Moore left the Reagan administration to become Vice President for Legislative Affairs for the Lockheed Corporation. He went back to consulting from 1985 to 1998, working for Ginn, Edington, Moore, and Wade; Capitoline International Group; and Global USA. In 1998 he returned to federal government service once again to become Chief of Staff for Senator Fred Thompson. Moore became part of a fourth presidential administration when he was appointed Assistant Secretary of Defense for Legislative Affairs during George W. Bush’s first term. During this period, he received the Defense Department’s Medal for Distinguished Public Service. He went on to become the Managing Director for Federal Government Relations for McKenna, Long & Aldridge. 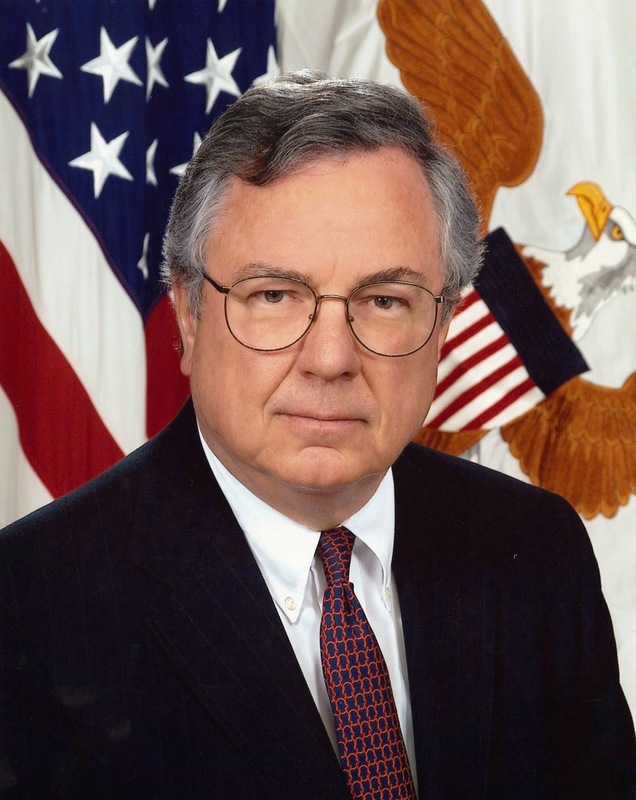 In 2006, Moore became the Representative of the U.S. Secretary of Defense to the Organization for Security and Cooperation in Europe in Vienna, Austria. In 2010, he joined Venable LLP. Moore was born on January 5, 1938, in Milledgeville, Georgia. He is a graduate of Georgia Military College and was awarded a Bachelor’s Degree in Journalism from the University of Georgia. Moore remained an active alumnus of both institutions and received a number of honors from them throughout his career. He was editor of the Milledgeville newspaper, The Union-Recorder, and worked for Southern Natural Gas before working for Senator Russell. Throughout his life he has been involved in a number of civic activities. He currently works as a consultant and lives with his wife, Pamla, in Washington, D.C. Together they have two sons and two daughters. The Richard B. Russell Library is open for research from 8:30am-4:30pm, Monday through Friday (with the exception of University of Georgia holidays). For more information on this and other collections call (706) 542-5788, email russlib@uga.edu, or visit www.libs.uga.edu/russell.